Welcome to Party Bus Auckland Rescue 911. This Limo style Fire Truck is going to blow your mind with sizzling hot packages to choose from and burning hot entertainment on the PR911 Fire Truck. 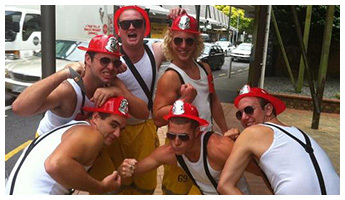 This Fire Appliance is hot property and the only one of its kind in the New Zealand market. With LED mood lighting, stripper poles, luxury limo seating, karaoke, fully licensed bar on board, toilet, fully functioning fire equipment hoses, siren’s and flashing lights what a unique experience. 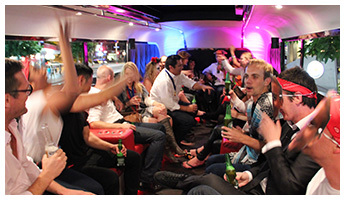 At PR911 Party Bus we have the best hen and stag party tailored made packages available. We have thought of everything, eye candy, dancers, food and entertainment to keep your hen or stag party a burning memory in your mind. We have made up the best packages for your corporate group. We have fabulous hosts you can have on any of our specialised packages to Team Build, have some fun with some games and quizzes to facilitate your event. 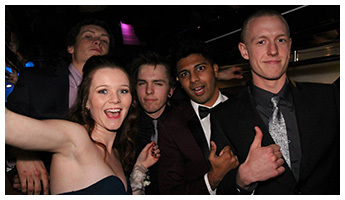 Why not rock up to your School Ball in a Party Bus NO ONE in NZ would have? At PR911 we can get your School Ball rocking for as little as $17 pp.